The Yard of Bricks at the Indianapolis Motor Speedway is some of the most hallowed ground in worldwide motorsports. In a span of 63 days in fall 1909, 3.2 milllion paving bricks, each weighing 9.5 pounds, were laid on top of the original surface of crushed rock and tar to upgrade the Speedway. Asphalt gradually was added to various section of the brick surface, with patches added to rougher sections of the turns in 1936 and all turns being completely paved with asphalt in 1937. In 1938, the entire track was paved with asphalt except for the middle portion of the front straightaway. In October 1961, the remaining bricks on the front straightaway were covered with asphalt. A 36-inch strip of the original bricks was kept intact at the start/finish line, where it remains today as the fabled Yard of Bricks. The tradition of "kissing the bricks" was started by NASCAR champion Dale Jarrett. After his Brickyard 400 victory in 1996, Jarrett and crew chief Todd Parrott decided to walk out to the start-finish line, kneel and kiss the Yard of Bricks to pay tribute to the fabled history of the Indianapolis Motor Speedway. The team joined them for a group kiss on the bricks, and an Indianapolis tradition was born that Indianapolis 500 and Brickyard 400 winners have followed since. 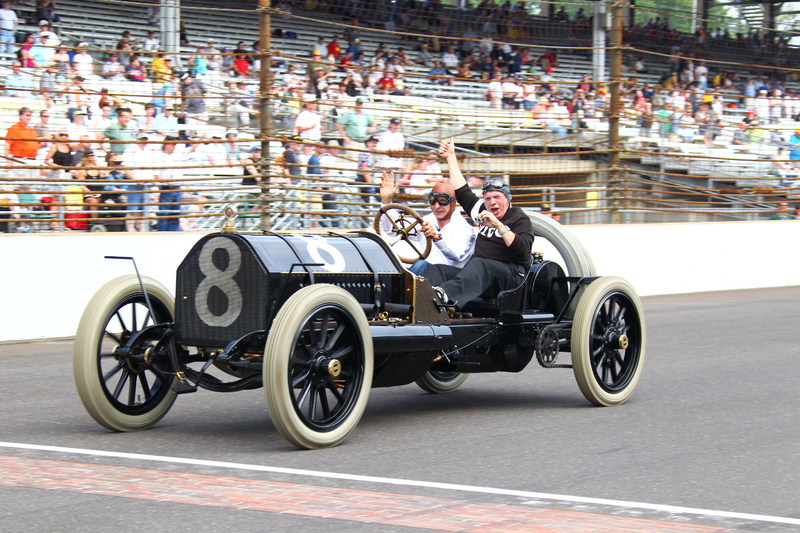 Ron McQueeney, Director/Photography at Indianapolis Motor Speedway, shot this amazing photo of Emerson Fittipaldi and Howard Kroplick in the Alco Black Beast during the 2011 Indy 500 parade lap. 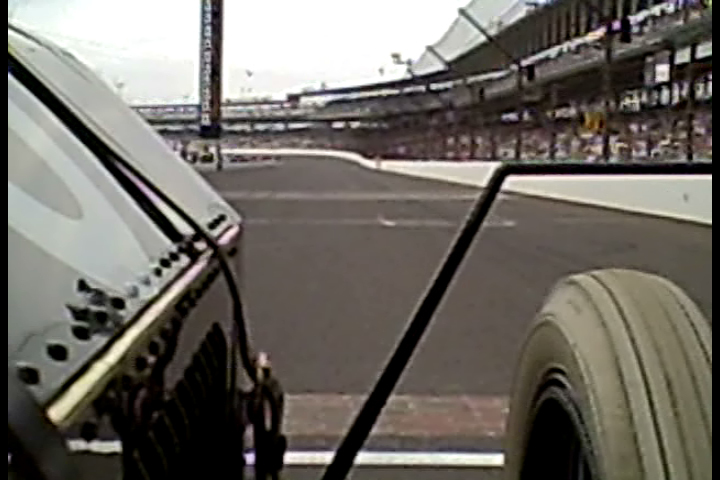 7:35 The Black Beast passes the "yard of bricks".